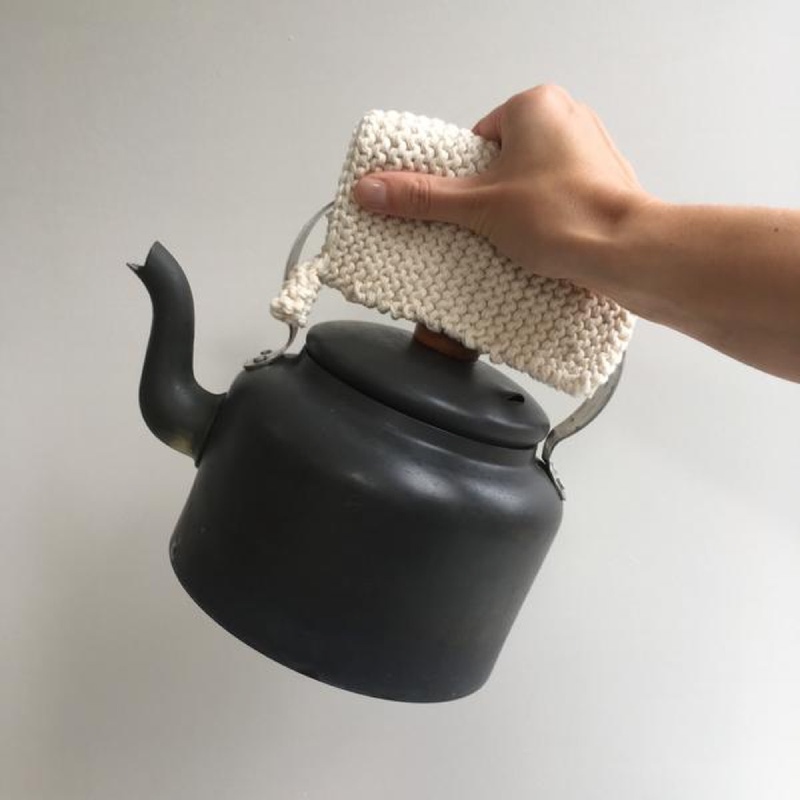 On the 1st day of Christmas, my true love gave me the gift of “Life-improving Homewares” from Aerende — improving both our lives and those of its socially challenged makers from around the British Isles. 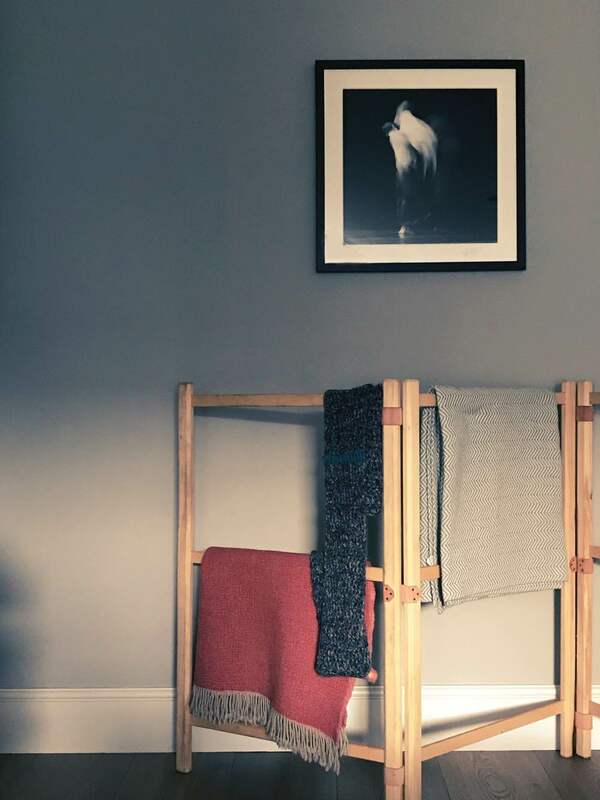 Aerende is an online shop selling useful and beautiful products for your home, all of them made in the UK by people facing social challenges — carefully crafted products from makers who are unable to access or maintain conventional employment. The company was founded in 2016 by Emily Mathieson, a former travel editor for The Guardian, Condé Nast Traveller and Red. A passion for beautiful, useful, locally made homewares led her to question the lack of high-quality options in the ethical interiors sector. Thus began a quest to create a model for considerate, socially valuable shopping that doesn’t compromise on quality or style. Above: Durable and washable, these Knitted Cotton Pot Holders are versatile as well. Their weight and texture make them perfect to use as trivets or even as flannels, which is how I use them. A set of three with a bar of soap will be a much appreciated present. Handknitted from 100% Mariner Yarn heritage cotton in Hertfordshire by adults at Creatively Mindful, which tackles stress and social issues with creativity and relaxation. 18cm x 17cm, £13 each. Above: Here’s a stylish and effective way to extinguish all those candles we light during the dark winter evenings. 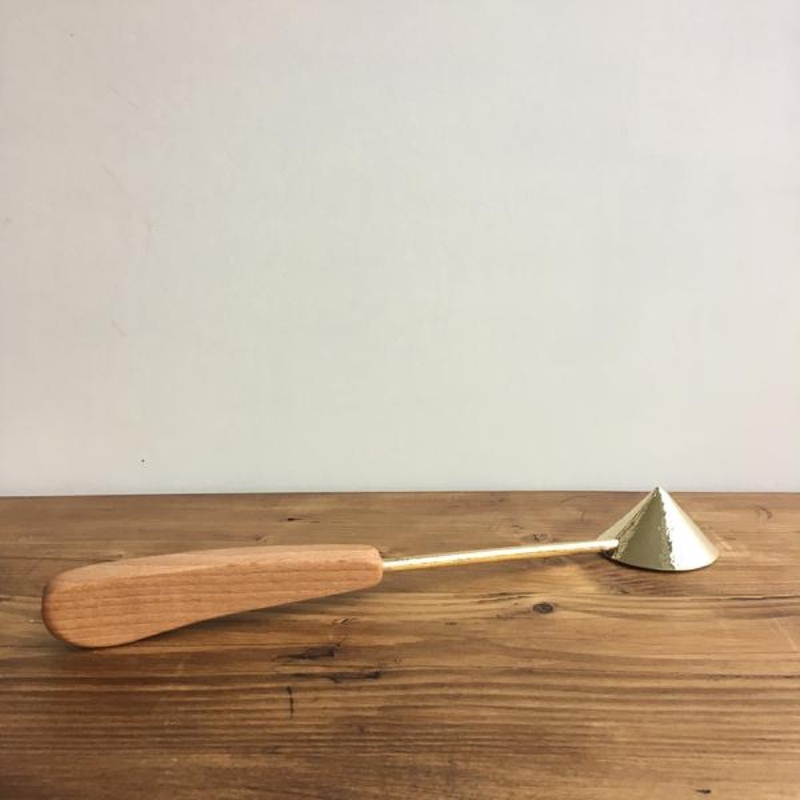 The Wood and Brass Candle Snuffer reduces wax spray and keeps the wick straight which helps to maximise burn time. A perfect present to match up with a pair of Amber Beeswax Candles. The residents of Newton Dee Camphill Community in Scotland make the handles from sustainable British ash grown on their site. 30cm long, 5.5cm diameter of brass cone, £24.